The 34-year-old says he'll co-operate with investigators. Liberal MP Francis Drouin rises in the House of Commons on Feb. 18, 2016 in Ottawa. OTTAWA — Liberal MP Francis Drouin says an allegation has been made against him following an incident at the party's convention in Halifax this weekend. Drouin, a 34-year-old MP from eastern Ontario, was described earlier this year as a rising star in the Liberal Party, with a firm grip on the agriculture file and standing as the most-lobbied backbencher on Parliament Hill. In a statement released to the media and sent to Liberal MPs and staff Sunday, Drouin said he wanted to address "reports of an incident'' in Halifax. A Liberal who asked not to be identified said on Saturday Drouin was telling people at the convention that a woman had accused him of groping her backside at a bar near the convention site in downtown Halifax. "He was rattled,'' said the source, who added Drouin denied having done it. Halifax Police are investigating an allegation of sexual assault which took place in the 1700 block of Brunswick Avenue in downtown Halifax around 2 a.m. Saturday morning, but would not confirm any other details of the incident. The location and timing is similar to the information the Liberal source was given, but police would not confirm if the assault allegation involved Drouin or anyone from the Liberal convention. A spokesman for the police said he was unaware of any other allegations made about incidents in the area over the weekend. "Where it is an active investigation, we are unable to provide any other details,'' said Sgt. Brian Palmeter. The allegation became the talk of the convention, which several Liberals said had a good vibe overall until this happened. The alleged incident took place about 12 hours before the party held an hour-long seminar for MPs and staff called "From #MeToo to never again: creating safe work environments.'' Prime Minister Trudeau was one of the attendees at the session. He said Saturday one seminar was not going to provide all the answers but that it was a good step forward. Spokespeople for both the party and Prime Minister Justin Trudeau referred questions from the media to Liberal party whip Pablo Rodriguez. He had not responded to a request for comment as of Sunday afternoon, including whether the party has launched its own investigation or whether Drouin will remain an MP pending the outcome. Drouin did host a panel discussion with Agriculture Minister Lawrence MacAulay on Saturday after the alleged incident occurred. The party's policy on caucus membership is unclear during these situations. Trudeau himself has said every situation is different, but has many times taken a zero-tolerance approach. 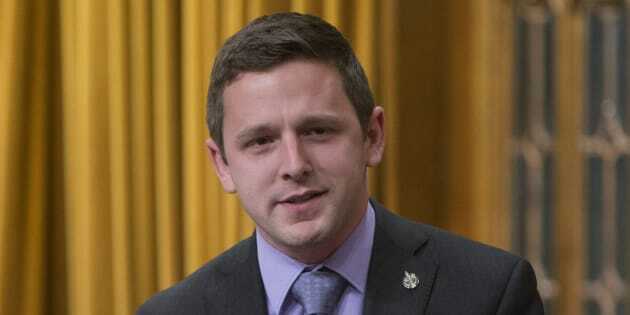 In 2014, prior to becoming prime minister, he suspended Newfoundland and Labrador MP Scott Andrews and Montreal MP Massimo Pacetti after allegations of sexual misconduct involving other NDP MPs. Their suspensions were made permanent in 2015 after an independent investigation. Andrews ran as an Independent and lost in 2015 while Pacetti did not seek re-election. Prime Minister Justin Trudeau delivers a speech at the federal Liberal convention in Halifax on April 21, 2018. Former Fisheries Minister Hunter Tootoo left cabinet and the Liberal caucus in 2016 to seek alcohol addiction treatment, and it later emerged that he had been having an affair with a young female staffer in Ottawa. The situation came to light when he broke it off with her to date her mother. Calgary MP Darshan Kang left the Liberal caucus last summer after a staffer alleged he had sexually harassed and assaulted her. A House of Commons investigation concluded it could verify some of the complaints, including that he had improperly tried to get access to the woman's hotel room in Ottawa. Kang now sits as an Independent MP. All political parties have grappled with how to handle allegations of sexual misconduct as the #MeToo movement has gained strength. Saturday's harassment seminar was the first time the Liberals have addressed the matter at a national convention.